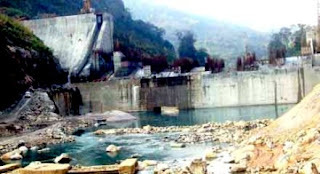 Shillong, Feb 22 : Fighting time and cost over-run, the first unit of the 126 MW Myntdu-Leshka hydel power project in Meghalaya will formally be inaugurated on February 29, officials said today. The Rs 300 crore project, initiated way back in the 1980s, was constructed in 2004 and completed last year at a final cost of over Rs 1000 crore. "Chief Minister Mukul Sangma will inaugurate the first unit of the project," Meghalaya Electricity Corporation Ltd (MeECL) Chief Project Manager E Lyngdoh told PTI. He said the second unit (42 MW) of the project is also ready and will be commissioned next month. The government had to repeatedly postpone its commissioning because of various reasons both technical and non-technical, Lyngdoh said. It was first scheduled for commissioning in December 2009, before it was shifted to March 2010, June 2010, October 2010, January 2011 and finally February 2012. MeECL officials attributed the delay in completion and commissioning of the Project due to many reasons including to the continuous rainfall experienced at the project site and also due to geological conditions. The 42 MW Myntdu-Leshka hydel project is the only hydro unit which will be contributing power during the 11th plan period, officials said. The DPR for the project was prepared in 1999 and the government gave its clearance only in 2004 at an initial cost of Rs 363 crore, the official said. MeECL officials said the project can withstand an earthquake measuring 9 on the Richter scale. Anti-corrosion steel and micro-silica and other admixtures have to be added in the concrete to make it more durable and dense, they said.